Pokemon: Magikarp Jump offers players a number of unique and exciting ways of leveling up their floppy little companion, many of which appear to be completely random. This is certainly the case for event number 32, a chance encounter that seems more than a little inspired by horror flick The Ring. It's not all spooky randomness, though — players who complete Event 32 will find that the maximum level of their Magikarp has increased by one, meaning they can take on even tougher opponents in the game's many tournaments. How To Trigger Event 32 - Be Gone! Triggering Event 32 in Pokemon: Magikarp Jump is very easy. Players should begin by tapping on the TV set found at their home pond. Doing so will bring up a prompt; ignore this and exit back out to the pond. Keep tapping on the screen and canceling out of the prompt until static appears on the screen. It should take seven tries. Once static has appeared, continue on with the process of tapping the screen and exiting the prompt until the television set returns to its default state. After cycling from working to broken and back to working again, players simply need to go complete a training session. Like in most cases, training has a chance to trigger a random event. After fiddling with the TV, however, training will always trigger the Be Gone event. 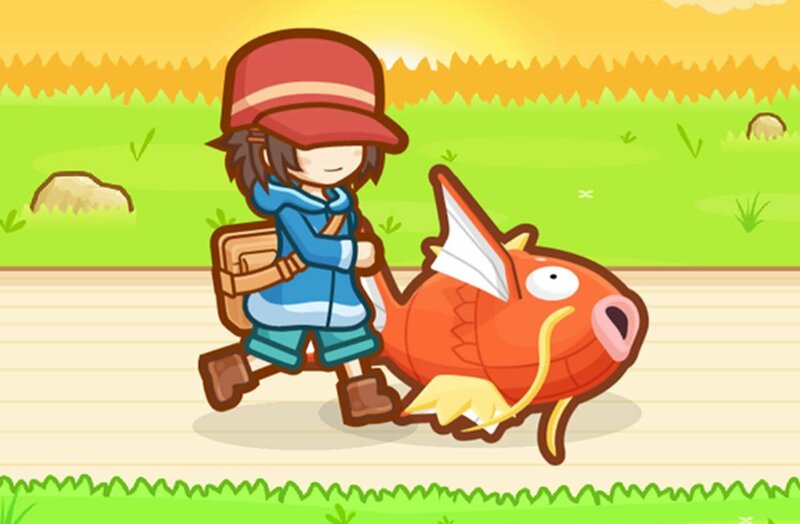 Players will be approached by an eery and familiar young woman who politely encourages them to leave, and once they do, they'll find that their Magikarp's maximum level has increased by one. We've got loads of additional guides for Pokemon: Magikarp Jump, including writeups on how to fish for Magikarp, how to train Magikarp and win battles, and a complete list of all Pokemon: Magikarp Jump events.